Do you want to start raising chickens and want to build a unique type of coop? A standard design is fine for many people, but there is no reason why you can’t be a little creative. You can make a chicken coop in a specific design to have something really unique, like a chicken coop that looks like a train. 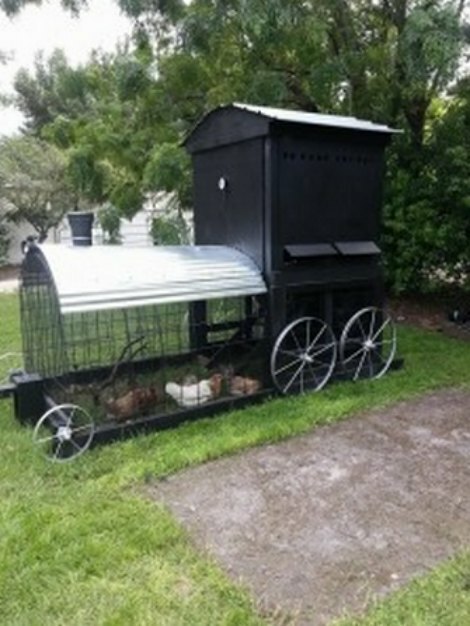 A chicken coop that looks like a train is a self-contained unit. The rear or box of the train will the roost and the front part will be the tractor or chicken run. You may use any materials you have on hand if you want to build this type of chicken coop to have on your property. You have a lot of things to consider when building a chicken coop that looks like a train. The wood for the box of the train needs to be treated so it does not rot. The box can also be painted.